Some men are just effortlessly stylish. It’s their thing. When it comes to what looks good, they just know. The bastards. But the secret to killer style isn’t just some clothes and a Da Vinci code guide for putting them together, but how they’re looked after. If you’re more of a floordrobe guy who’s forever throwing on whatever is nearest to the bed, take note. Chances are that perfectly tailored suit or premium T-shirt you invested in will look far from its best if it hasn’t been stored properly. Maintaining an efficient getting dressed set-up needn’t cost the earth, nor eat into your time – and the results can completely outweigh the effort you put in. This is the expert guide to creating a wardrobe that goes the distance. Your clothes can thank us later. Sound familiar? Then know that it pays to think of a wardrobe not as just another piece of furniture, but as a tool to organise your clothes and, as a result, enhance your style. If you’re a fan of bold or tonal dressing, try dividing clothes by colour to make getting ready easier. Hanging navy with navy and black with black creates an easy-to-follow visual guide that can shave precious seconds off your morning routine. The same goes for something as simple as your socks – investing in drawer dividers to split your navy, black and grey pairs can prevent any pre-morning coffee tantrums. Oddly, getting rid of clothes can actually make you look better. A clear-out is a chance to focus your wardrobe and redefine what suits you. And what better time to do this than at the start of a new year? Even over the course of a few months, our bodies can change shape through age or exercise, which means that tailored blazer you’ve been clinging onto may not necessarily be an impeccable fit any more. Get it altered or get rid. No wardrobe maintenance walk-through would be complete without mentioning Marie Kondo, the Japanese ‘organising consultant’ whose book The Life-Changing Magic of Tidying and Netflix show has become a global success. Kondo’s approach boils down to if something doesn’t ‘spark joy’ in you, then best let it go. It’s an effective maxim to bear in mind when rifling through your wardrobe. Be ruthless; if it doesn’t suit, put it in a box for storage and come back to re-evaluate next time you do a clear-out. You might hit it off again with that printed shirt at some point down the line, or you might be convinced it’s time to part ways for good. There are plenty of crimes against fabric worse than leaving a sweatshirt on the floor overnight. But regular disregard for your garms can quickly add up to a hefty bill when several of your go-to pieces need replacing. Looking after your clothes doesn’t end at what you do in them, but what you do with them once out. Investing in a few pieces of kit, however, can make mothering your menswear less of a chore. When they’re not on your back or in a drawer, your clothes will (or should) spend the rest of their time on a hanger. So, as with your bedsheets and your shoes, it pays to invest. “Eliminate wire hangers from your wardrobe,” says Gilfillan. “They don’t give any shape to jackets and will leave other pieces with ‘ears’ on the shoulders.” Not only can wire hangers wreck the lines of your tailoring, it’s also worryingly easy to snag knitwear on them. If you don’t have enough space for wooden hangers, try thinner, flocked versions instead. Vacuum storage bags are particularly useful if you don’t have the luxury of space. Just make sure they go in clean, so you’re not locking in a nasty funk. A fabric de-bobbler sounds like a terminally boring investment, but like life insurance, it’s one that is ultimately worth it. Unsightly bobbles can instantly undo a stylish knit’s appeal. And while it is possible (albeit risky) to use a razor in a pinch, this dedicated piece of kit makes light work of restoring pieces to their former glory. 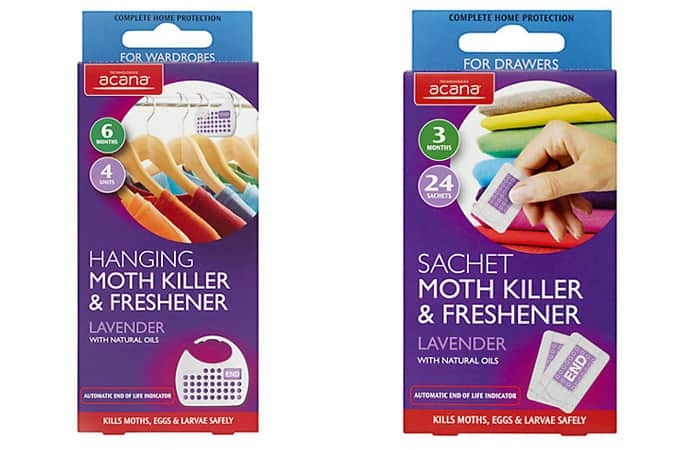 Moths can easily destroy even the most orderly of wardrobes. And because they like to breed in dark, dusty, undisturbed corners, one creepy crawly can soon turn into the Glastonbury of bugs. When it comes to lines of defence, mothballs are effective but often carry a rather distinctive smell. Far better are natural repellents like cedar wood balls or wardrobe fresheners. Anyone who’s seen a pair of wooden shoe trees in all their Instagram-baiting glory should need little convincing of their worth. Not only are these handsome pieces of craftsmanship, but they’ll also add years to your footwear. Shoe trees, particularly those made from moisture-absorbing cedar, will help retain the shape of your best Oxfords and Derbies, as a result, stop creases in their tracks. Who said you can’t have beauty and brains? It doesn’t take a degree in medicine to know that when it comes to crisis management, prevention is invariably better than cure. So take a leaf out of your doctor’s book to keep your clothing stain-free. Vaccinate your best pieces against weather damage and other issues by applying a light layer of fabric protector before your first wear (making sure to do a patch-test first) then give it a top up every four to six weeks. Despite its prowess in ridding your clothes of creases, ironing isn’t all good news for your gear. After all, a scorching hot slab of metal making its way across your most delicate clothing doesn’t sound all that healthy, does it? Be kinder to your clothes, and keep them wrinkle-free, by investing in a steamer. It’s like leaving your clothes hanging on the back of the bathroom door while taking a hot shower, only far more effective. As a natural material, leather benefits from regular TLC in the same way that your skin does. Consider polish and other shoe care your footwear’s equivalent to a good moisturiser. It’ll keep them wrinkle-free for longer, safeguard them against the elements and give a glow that makes you look money. It’s also worth adding a couple of good shoe brushes to your arsenal to remove any debris, and a few handy quick wipes to keep your kicks fresh on the go. You don’t need P Diddy’s diamond collection to start taking jewellery care seriously. Neglect your metallic accessories for too long and they’ll need more than a quick once-over to bring them back to bling. The best way to prevent your jewellery’s light going out is by giving it a regular spring clean. Simply wipe each piece with a soft cloth and some jewellery polish after wear to offset the build-up of skin oils, lotions and other grime. Diddy would approve. When it comes to wardrobe maintenance, it’s impossible to overlook the importance of a little TLC: tender leather care. In order to go the distance, a leather jacket should be kept fresh with a high-quality cleaner, backed up by regularly applying a moisturising balm enriched with ingredients like vitamin E and natural minerals to help keep it supple and avoid cracks. Dressing yourself can be an expensive business. But come armed with a few clothes-conserving tools, and your credit card won’t need to take another beating. A garment brush is one of the key life-extending purchases for your wardrobe. Use it to get rid of any surface dust or stains and to lift the nap of a suit’s cloth before and after wear. A closet that doesn’t close won’t always give you the best chances of creating a good outfit. Nor will having to filter through a selection of down jackets in the height of summer. Ask any modern day style icon and they’ll tell you that the secret to dressing well is having a carefully curated (and correctly stowed) edit of essentials that all work together. Okay, so their stylist more than likely has this on hand for them, but it’s still possible to recreate that magic at home. Fewer things stand between you and a good outfit like jam-packed rails, especially when getting dressed in a hurry. If you have to use a crowbar to prize that Cuban collar shirt out the wardrobe, you’ve got too much. Aside from allowing you to see and access everything you own at a glance, leaving space between each item helps air to flow, avoiding musty smells and swerving the onset of mould. Either edit down your items or invest in an additional rail or more efficient storage solutions. T-shirts, shoes, suits, shirts – practically anything you can think of – all need proper time to relax after they’ve been worn. Why? Well, unless you’re showering fully-clothed (please don’t), everything you wear will retain some odour and moisture from your sweat. What does that mean for your clothes? Hard-to-shift smells, deep-set stains and bizarrely warped shapes. Not ideal. If you find yourself wearing a white T-shirt every day, invest in a multi-pack, or five. 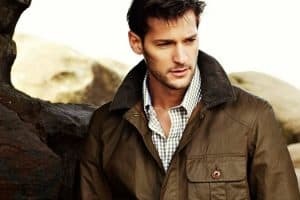 Even in a perfectly built wardrobe, there will be items that are seasonal (such as a shearling jacket or linen blazer), and these can spend a good few months out of action at a time. To avoid them collecting dust, and to help free space up in your wardrobe, regularly adjust your rotation to match the season. If in doubt, the FashionBeans Hot List suggests all the key pieces and fabrics to have to hand at any one time. Turbo-charging your wardrobe’s longevity requires a stellar storage strategy. Ignore this, and certain items will instantly give away your slovenly stowing habits. Knitwear’s handsome looks tend to head south when hung due to gravity, so fold yours neatly and place in a drawer. Suits and shirts, on the other hand, should always be hung on natural wood hangers, which will help maintain shape, relax any creases that have developed and wick away all that moisture soaked up during the day’s boardroom showdowns. To some, laundry guidelines are the biggest trick pulled by the fashion industry since man skirts. To others, they’re a useful resource for avoiding walking around in a sweatshirt that looks borrowed from your niece. If you’re using a one-spin-fits all approach to the washing machine (or worse, still relying on your mother), stop immediately. Instead, enlist in Clothes Washing 101. To stand any chance of looking good in what you wear, get into the habit of reading care labels. Whether it’s hand-wash only, delicate or slow spin, they’re there for a reason. Of course, avoiding such pieces when shopping (or just giving up on caring whether something remains the same shape, size and colour) removes this hassle, but that means no ultra-soft handle cashmere for you. It might be tempting to dump all your dirty washing into the drum in one big bear hug, but the one-size-fits-all approach is almost always bad news for your whites. Why? Because due to their paler disposition, they’ll attract and soak up any loose dye that runs from surrounding darker garments. To keep your whites as they were intended, wash dark colours (black, navy, forest green etc. ), light colours (pastel shades, heather grey, creams etc.) and whites in three separate cycles. Tedious, yes, but the only way to avoid your entire underwear collection turning lilac. Getting overzealous with the washing machine is just about the fastest track to reducing your most-loved garms to a pile of scrap. Save your wardrobe – and the planet – with a hefty dose of common sense when choosing what to wash: if it looks and smells clean, it’s probably clean. Yes, gym kits, underwear and that T-shirt you don exclusively for demolishing mounds of spaghetti should be washed after wear, but jeans and jumpers – provided you’ve steered clear of the stables – very rarely need the same treatment after just one outing. After waging war on dirt, it’s natural to want to wear your fresh-AF pieces as quickly as possible. However, avoid the tumble dryer at all costs, as this can result in damage to the fibres and unwanted shrinkage. Whenever possible, allow clothes to dry naturally (and flat, in the case of knitwear). To expedite the process, try hanging whites and lighter colours on a line outside, but remember to keep darker clothes indoors to avoid them fading. Turning your clothes inside out when washing is a stupidly simple way of preserving the life of your wardrobe. While you won’t see much benefit in your socks and underwear, doing so with jeans, jumpers and shirts minimises wear and tear and the risk of other pieces getting snagged on zips. Just as important as savvy washing is a pre-wash security screening. Rogue tissues, coins and other paraphernalia can wreak havoc on your clothing if not filtered out before you push the ‘On’ button. Know when to call the professionals (and when not to). Dry cleaning can spruce up a suit but it also reduces its lifespan so limit this to once or twice a year. Put a small bag of cat litter or tea bags in shoes to remove any bad smells. Honestly.